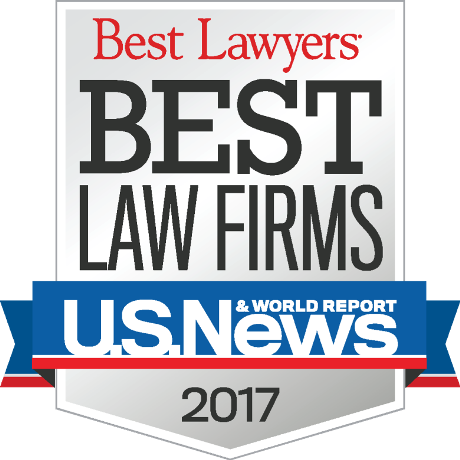 We are proud to announce that Mike Kelly, Rich Schoenberger, Doug Saeltzer, Matt Davis, Khaldoun Baghdadi, Doris Cheng, and Spencer Pahlke have all been selected by the prestigious US News/Best Lawyers publication for inclusion in the 2017 edition of “Best Lawyers“. And equally impressively, the firm as a whole has been cited as a “Top Tier” Best Law Firm in three different areas of specialty: Personal Injury, Medical Malpractice and Product Liability. Additionally, individual “Lawyer of the Year” honors for 2017 in the San Francisco Bay Area were bestowed on partners Doris Cheng (Medical Malpractice) and Michael Kelly (Personal Injury Mass Torts/Class Actions). The acknowledgments of Cheng and Kelly follow on the 2016 selection of Rich Schoenberger as the Best Lawyers “Lawyer of the Year” in the area of Personal Injury. For more than three decades, Best Lawyers lists have earned the respect of the profession, the media, and the public, as the most reliable, unbiased source of legal referrals anywhere. Inclusion in Best Lawyers is based entirely on peer review. The methodology is designed to capture, as accurately as possible, the consensus of opinions of leading lawyers about the professional abilities of their colleagues within the same geographical area and legal practice area. “Lawyer of the Year” recognitions are awarded to individual attorneys with the highest overall peer feedback for a specific practice area and geographic location. Only one lawyer is recognized as the ” Lawyer of the Year” for each specialty and location.